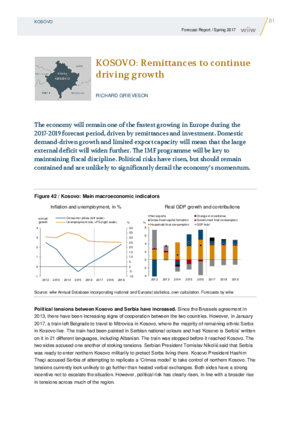 The economy will remain one of the fastest growing in Europe during the 2017–2019 forecast period, driven by remittances and investment. Domestic demand-driven growth and limited export capacity will mean that the large external deficit will widen further. The IMF programme will be key to maintaining fiscal discipline. Political risks have risen, but should remain contained and are unlikely to significantly derail the economy’s momentum.